Thousands of dental patients discover that they’re going to require braces each year, but not many of them know that there is a broad selection of options available to them. 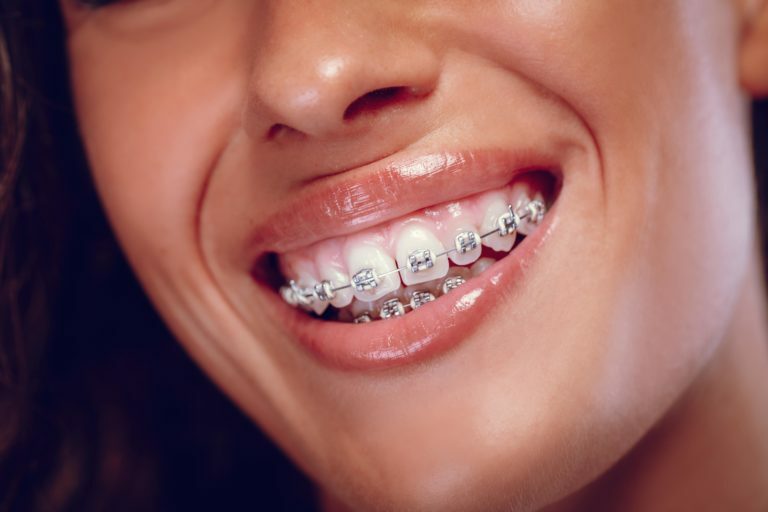 The most common image to come to mind is the wire braces that have been the go-to for years, and while these are appropriate for many cases, they’re certainly not the only thing we have to choose from. Read on to discover what kind of options exist for you outside the realm of “traditional braces”, and how they might make your time with them a little easier. This style of braces have been around for a while as an alternative to traditional, or metal, braces. One of the benefits of ceramic braces is the material used to make the brackets had the same color and texture as the teeth they were mounted on. This meant that it was nearly impossible to tell that you were wearing braces, which led to their popularity. Some dentists still provide this option to their patients, but they tend to be more expensive than traditional braces. Lingual braces are much less well known than either traditional or ceramic style braces, but they are just as effective as their more common counterparts. What makes them different is their placement on the inside of the bite, rendering them invisible to the casual observer. For all their benefits they do come with a few drawbacks of their own, starting with the fact that cleaning them is difficult. They also tend to have a greater impact on the patients ability to speak, and take much longer to accomplish the same level of correction as traditional braces. These braces also use the wire and bracket system commonly seen with traditional braces, but instead of using the rubber band ties opt to use clips or doors to hold the wires in place. These are supposed to cause less pain, as well as limit the number of trips you need to make to the orthodontist. These are available in both ceramic and dental options, but they don’t always have all the features you need to reach your orthodontic care goals. These are by far one of the most popular versions out on the market, in part due to their invisible nature. They are capable of accomplishing most of what traditional braces do while being able to be removed for 2 hours each day. While worn these braces are nearly impossible to see and are considered more comfortable than the standard fare. While their price-point is significantly higher than traditional braces they are a very sought after option for corrective dentistry. If you’re considering braces to achieve the smile you’ve always dreamed of, it’s time to contact your dental professional for a consultation. Dr. Amanda Rae Kronquist at the Sunset Dental Group has been proud to guide patients like you towards the smile they’ve always dreamed of. One phone call will get you an appointment at their Santa Ana, CA office, which is your first step to a perfect smile.